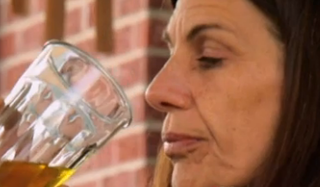 Meet Carrie, a woman who is addicted to drinking her own urine. She has consumed over 900 gallons of her own urine over the four year period of her addiction. Meet Trina, a Florida woman who gives herself at least four enemas each day. Trina uses coffee in her enemas, and her husband has gotten into the habit as well. A real-life vampire from Turkey struggles with a blood addiction described as at the point of being as necessary as oxygen. And then there's the multiple personality disorder. In a case study published by Live Science, the vampire says he developed these things as a way to cope with a violent and tragic upbringing. 33-year-old Jillian has been addicted to smelling pine cleaner for two years and can’t go more than 15 minutes without a fix. Using up to six bottles a week, she keeps a bottle next to her bed, in her car and even wears a surgical mask doused in pine cleaner for a stronger scent. But her addiction is beginning to take a toll on her asthma. Will warnings from a doctor be enough to convince Jillian to put down the bottle? For over 12 hours every day, Jamie scrapes her ear canals with any sharp object she can get her hands on. 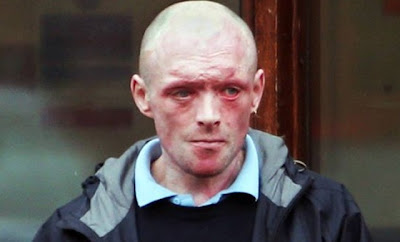 Can a much-needed intervention halt the 32-year-old's dangerous obsession before it's too late? Jamie's friends and family fight to put an end to the young woman's scissors-to-ear fixation and get her risky behavior under control before she causes irrevocable damage. 28-year-old Nathaniel has found the love of his life: his heart has belonged to his car, a bright red 1998 Monte Carlo named Chase. Nathaniel goes on dates with his car, buys his car birthday gifts and is even intimate with it. Every weekend he tenderly bathes it and greets it with a good-morning kiss. 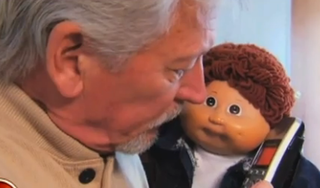 Meet Joe and Pat Prosey, proud "parents" of more than 5,000 Cabbage Patch Kids. My Strange Addiction, an eight-part extension of the popular reality series My Collection Obsession, will feature the couple and their expansive brood in their day-to-day life, catering to their "babies" as one might their own flesh and blood. A 20-year-old man is admitting to his strong feelings for inflatable animals on the TLC show "My Strange Addiction." The man claims to love that they're "soft and cuddly" and is in a relationship with 15 of these plastic pool toys. 43-year-old Lisa is addicted to licking her cat and eating clumps of its hair. When she can't find enough clumps of hair around her apartment, she licks her cat to get more off. These men from Gillingham, UK, dress and act like babies. Some call it adult baby regressive therapy. Most call it weird, just plain weird.